It has been quite awhile since I made a trifold card and when my mom suggested it, I went for it. All the images are from Create A Critter. The base is three rectangles welded together on my gypsy. I then welded my other shapes to each fold of the card. I attached an Action Wobble to the seahorse to give it some movement. Added a google eye to the sea horse for extra fun. The sentiments are from Pink By Design and Pink Scrapper. 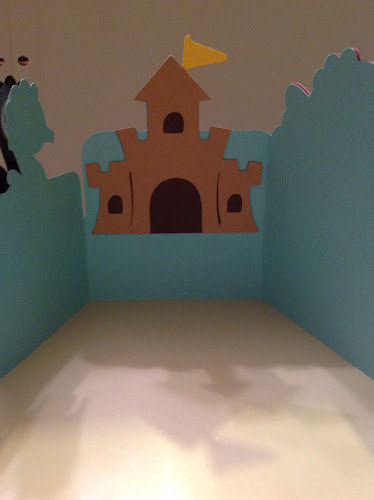 Most of the card stock is AC Cardstock. Oh this is so cool. Verry creative. Great tri-fold card with a fun beach theme....perfect for summer!! Thanks for joining us at My Creative Time for the Summertime Designer Challenge!! This card is so cute and such a cute idea!!! 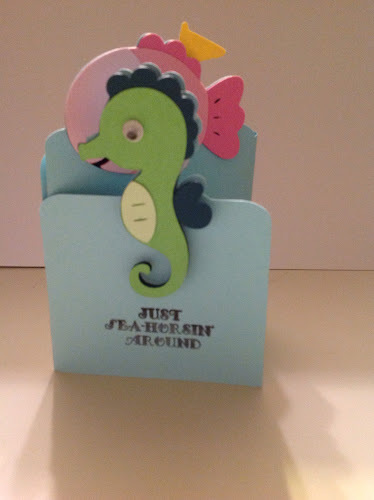 I love the seahorse and the cute sentiments! Thanks for joining us at BBTB2. I think I said cute enough, but it really is. Love your card fold design! So so cute!! Nice card. 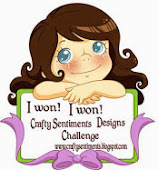 Thanks for joining Crafty Cardmakers' challenge. 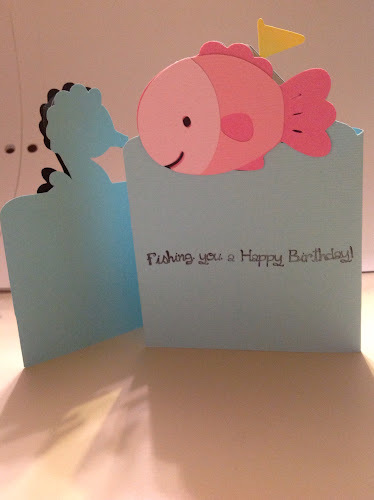 what an adorable card!!! Thank you for linking up with us for Tara's linky party at Craftin Desert Diva's We hope that you will join us again for the next linky party! Very cute. I may try something like this for back to school cards for the grandkids. I am a special education teacher of many years. I am married and have many fur babies. I am especially in love with Chihuahuas(Chis). When I am not teaching or doing special ed paper work, I am spending time with my fur babies, reading or paper crafting.